Dr. Walker’s primary interests include patient diagnosis and management as well as actively contributing to veterinary continuing education. He has lectured in the advanced small animal medicine course at the University of Florida and he presents seminars, lectures and workshops to veterinarians locally and nationally. He received the Small Animal Chapter Prize in Small Animal Medicine from the Australian College of Veterinary Scientists. Dr. Walker is a member of the American Animal Hospital Association, Florida Veterinary Medical Association, Jacksonville Veterinary Medical Association and the Comparative Gastroenterology Society. Dr. Walker has a number of journal and proceedings publications. He has authored chapters in the second and third edition of The 5 Minute Veterinary Consult and third edition of Slatter’s Small Animal Surgery textbook. Dr. Walker’s medical interests include cardiology and gastroenterology. Dr. Walker is married to Dr. Olga Walker. They have 5 children, a Staffordshire Bull Terrier named Luna, a Scottish Border Terrier named Fergus, and a DSH cat named Mickey. 2001-2004: Research Scientist, Gene Therapy for Anemia (cats) and Pompe’s Disease (human cardiomyopathy), Applied Genetic Technologies Corporation Inc.
Dr. Shih is double-boarded in Veterinary Anesthesia and Analgesia and in Veterinary Emergency and Critical Care. He graduated from the University of Sao Paolo in Brazil with his doctorate degree in Veterinary Medicine in 1999. 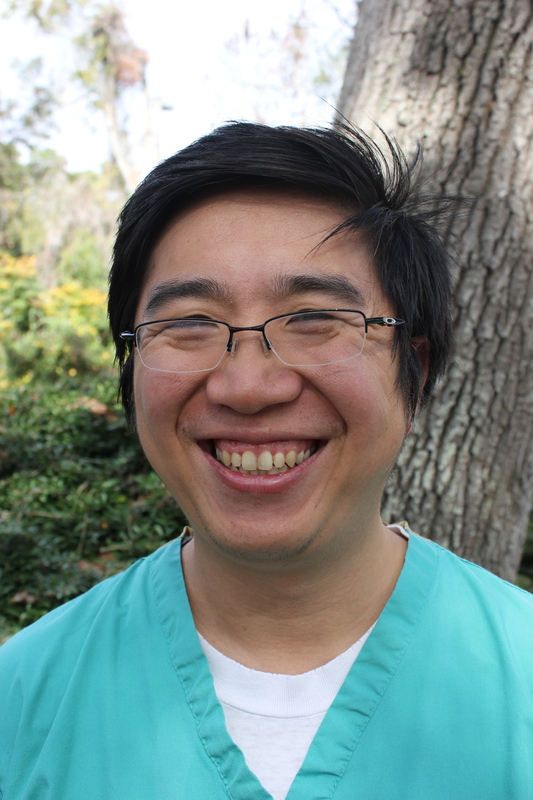 He completed his residency in Veterinary Anesthesia at the University of Florida. He then completed a fellowship in Veterinary Emergency Medicine and Critical Care. Dr.
Shih is boarded in both the American College of Veterinary Emergency Critical Care and also in the American College of Veterinary Anesthesia and Analgesia. Following his residency and fellowship, he spent 12 years on faculty as an associate professor in the Department of Anesthesia at the University of Florida College of Veterinary Medicine. He joined the staff at Capital Veterinary Specialists, Jacksonville in 2016 and is excited to be serving the First Coast. Dr. Shih's areas of interest include preload monitoring, hypovolemic shock, and cardiopulmonary resuscitation. Dr. Shih is married and has two children. He enjoys fishing with his sons in his free time. 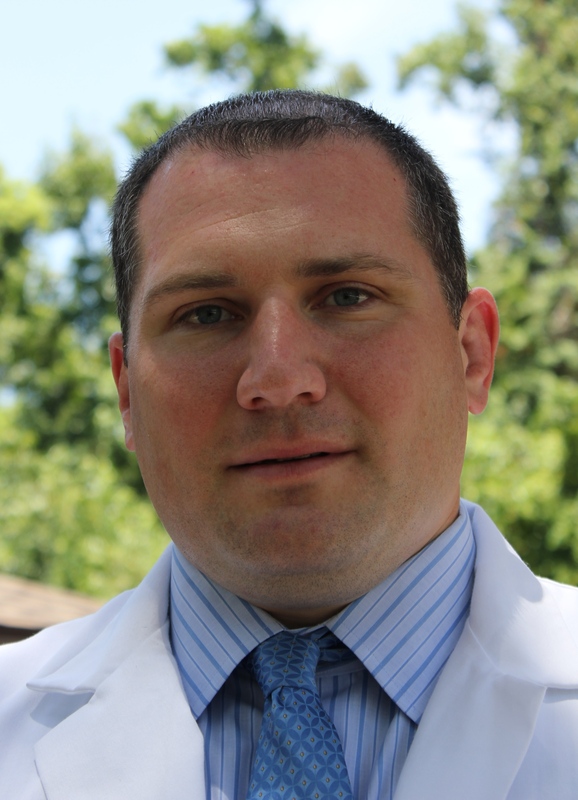 Dr. Neihaus is a Chicago area native and came to the surgery department of Capital Veterinary Specialists in May 2015. He attended the University of Florida in Gainesville for his undergraduate education. After graduating from the University of Illinois College of Veterinary Medicine, Dr. Neihaus spent a year as a general practitioner before going on to complete a rotating internship at the Animal Emergency and Referral Center (now Blue Pearl Veterinary Partners) in Northbrook, Illinois. During his residency at Affiliated Veterinary Specialists under Dr. Robert Goring, Dr. Neihaus published multiple research papers, presented at national veterinary conferences and was the recipient of the prestigious Clinical Research Award at the American College of Veterinary Surgeons Residents Forum. Dr. Neihaus’ professional interests include minimally invasive surgery (arthroscopy and laparoscopy), oncologic surgery and soft tissue reconstruction, and complex orthopedic and fracture repair. As a dedicated member of his community, Dr. Neihaus also enjoys giving back. Dr. Neihaus donates his time and surgical skills to help special needs cases from various rescue organizations around the country. Dr. Neihaus is a member of the Veterinary Society of Surgical Oncologists, Veterinary Orthopedic Society, and local and national veterinary medical associations. Dr. Neihaus and his wife, who is also a veterinarian, live in the Mandarin area with their three children and Cavalier King Charles Spaniel, Louie. When not at work, Dr. Neihaus enjoys fishing, boating, playing and coaching ice hockey and cheering on his favorite sports teams – the Chicago Bears, Blackhawks and the Florida Gators. Dr. Darrow was born in Iowa and maintains strong ties to his family and blue-collar Midwest roots. After completing his undergraduate studies and working for one year as a chemical engineer, Dr. Darrow realized true fulfillment could come working with animals and enrolled at the University of Wisconsin. 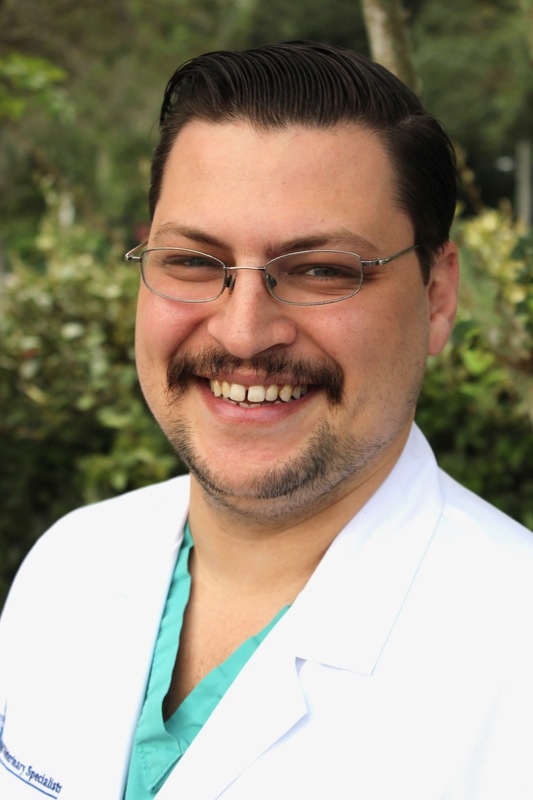 After earning his veterinary degree, Dr. Darrow performed a rotating internship followed by one year of general practice medicine in Bremen, Germany and emergency medicine in Ft. Lauderdale, FL. It was while volunteering at several local wildlife rehabilitation centers that Dr. Darrow realized how much he enjoyed the surgical aspects of animal care. Dr. Darrow has completed his residency in small animal surgery at the University of Tennessee. His current research lies in 3D printing bone models and surgical guides to improve the accuracy and efficiency of orthopedic surgery. Dr. Darrow has authored several peer-reviewed scientific publications and has lectured nationally on topics ranging from surgical infection control to avian (bird) surgery. He is currently co-authoring a chapter in the newest edition of Small Animal Veterinary Surgery. His professional interests include minimally invasive surgery, wildlife and exotic animal surgery, and complex orthopedic procedures. He is a member of the Veterinary Society of Surgical Oncologists, Veterinary Orthopedic Society, and American Veterinary Medical Association. Dr. Darrow is married to Dr. Janina Bartels, and together they look after Emely, a 15-year-old jack Russell terrier. In their free time, they enjoy virtually all outdoor pursuits including camping, mountain-biking, running, snorkeling, fishing, surfing, and snow-boarding. To Dr. Neihaus’ dismay, they are die-hard Packer fans. 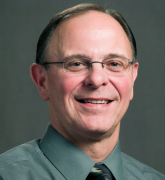 Dr. Ellison is a native of Chicago and earned his DVM from the University of Illinois. He completed a small animal internship at South Shore Veterinary Associates in Weymouth Massachusetts. Following this he practiced general small animal practice in San Francisco California. He completed a residency in Small Animal Surgery and received a MS in surgery from Colorado State University. He is a Diplomate of the American College of Veterinary Surgeons and practiced as a surgical specialist in San Diego California prior to joining the faculty of the University of Florida in small animal surgery. 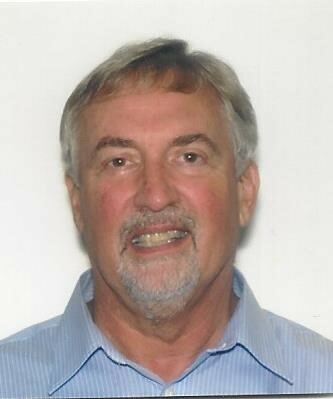 He has coordinated the laboratory surgical courses at Florida for many years and received a special service award from the University to acknowledge this in 2008 and the FVMA clinical investigator award on 2018. He has served as a visiting professor at the University of Tennessee, Murdoch University in Western Australia, the University of Helsinki in Finland, Ross University in St Kitts, the University of Bristol in England and Aristotle University in Greece. He is author or coauthor on 102-refereed publications and PI or CoI on 27 funded grants. He is a former Professor and Chief of Small Animal Surgery at the University of Florida. His areas of interest include most types of general surgery including head and neck surgery, brachycephalic airway disease, total ear canal ablation, gastrointestinal surgery, urogenital surgery, oncologic surgery neurosurgery and minimally invasive procedures. He is happy to join the team at Capital Veterinary Specialists. Gary is married to Debbie and has 5 grown children spread out all over the United States. In his spare time, Dr Ellison enjoys traveling, visiting family, bike riding, fishing and spending time with his 10-year-old Havaneze-poodle cross named “Clyde”. VCA Specialty Hospital, Albuquerque, NM. Experienced in all aspects of gastrointestinal surgery, urinary tract surgery including ureteral diversion (SUB), incontinence procedures (HUS), gall bladder removal and portosystemic shunts. Thoracic procedures including lobectomy, diaphragmatic hernia repair and PDA ligation. Head and neck procedures including BAS brachycephalic airway syndrome, laryngeal paralysis, stenting for collapsing trachea, salivary mucocele resection and total ear canal ablation TECALBO. Anorectal expertise in perineal hernia repair and anorectal neoplasia. Most aspects of oncologic surgery including maxillectomy, mandibulectomy large solid tumor removal with reconstruction. Experienced in neurosurgery including laminectomies and ventral slot procedures. Also experienced in elective minimally invasive surgical (MIS) procedures such as liver biopsy, OVE, gastropexy and pericardiectomy. Dr. Parisi is originally from Staten Island, NY but has been bouncing around various parts of Florida for the past 23 years. He graduated from the University of Florida College of Veterinary Medicine in 2017 with his Doctorate of Veterinary Medicine. Dr. Parisi has a passion for advanced imaging, specifically CT and ultrasound, and hopes to become a boarded specialist in diagnostic imaging in the future. 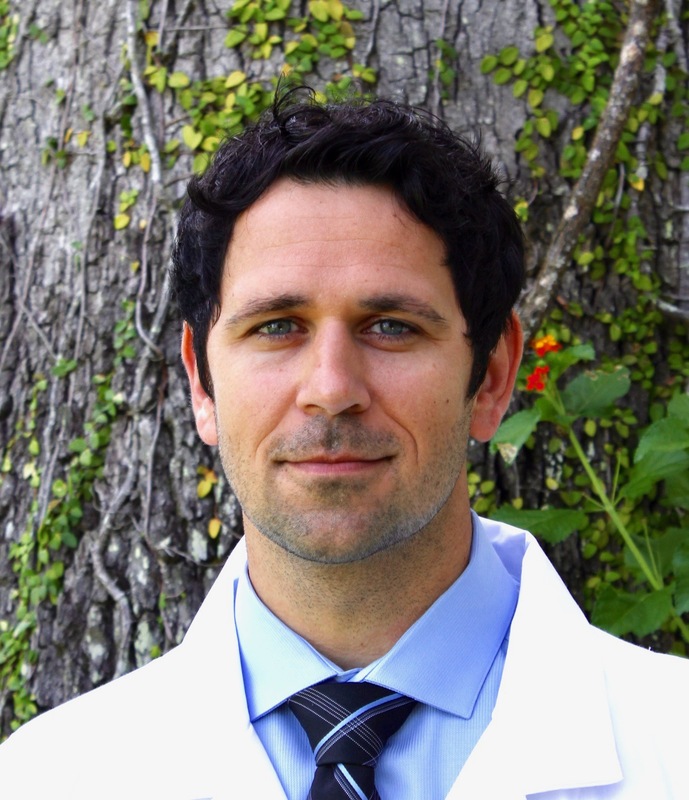 Outside of the clinic, Dr. Parisi enjoys hiking and camping with his cattle dog mix Zebu, diving in the ocean, and driving back roads with the windows down. Dr. Peper grew up in California, Nebraska, and Colorado. 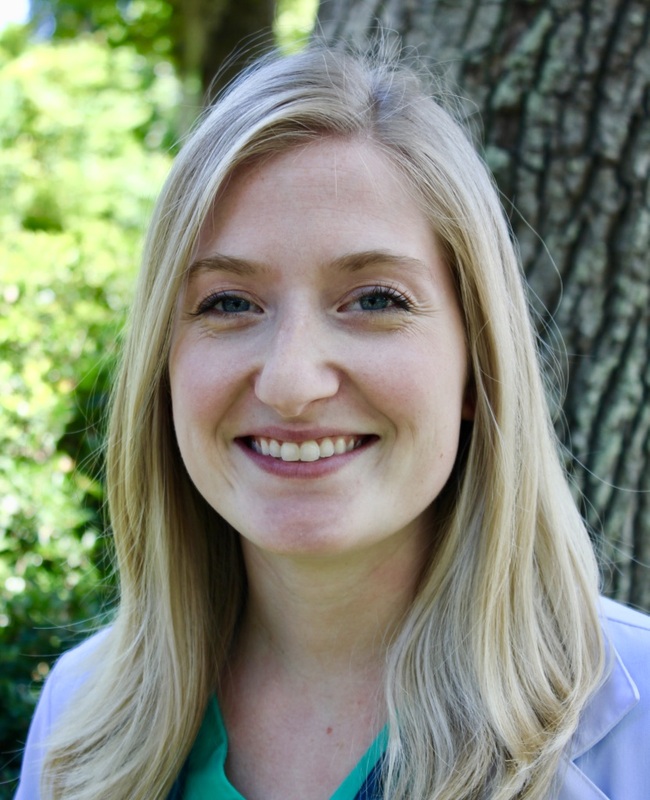 After completing her undergraduate degree at Duke University, Dr. Peper attended the University of Florida College of Veterinary Medicine. She graduated with high honors with the class of 2017. Dr. Peper is performing a rotating internship at Capital Veterinary Specialists from 2017 to 2018. She has a special interest in diagnostic imaging and is involved with multiple research projects at her alma mater. She also recently received the University of Florida radiology student scholarship to further pursue her radiology interest. Dr. Peper and her husband live in the Ponte Vedra area with their black lab, Olive, and their two horses, Akela and Lumiere. In her free time, Dr. Peper enjoys horseback riding (dressage), running, and reading. Dr. Stephanie Howell is from Marietta, Georgia. She completed her undergraduate studies at Georgia Tech with a degree in Biology with a Biomedical Science certificate. 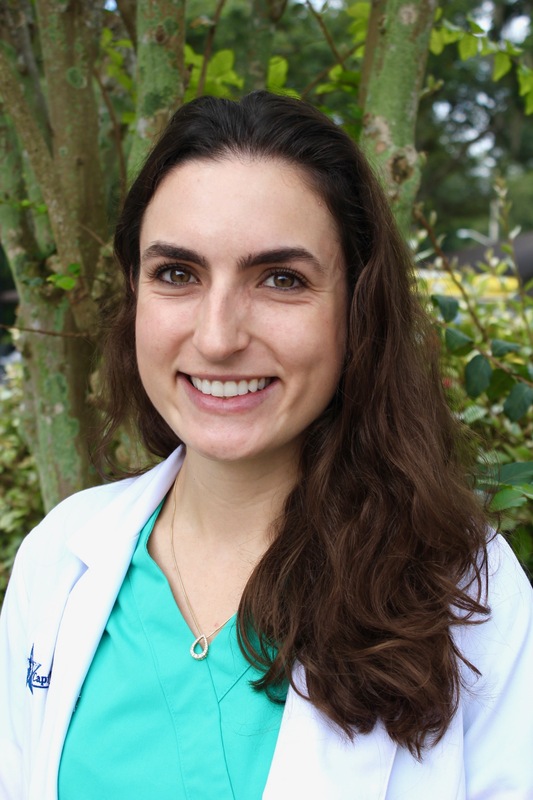 She received her veterinary degree and graduated with highest honors in 2018 from the University of Georgia, and is a member of the Phi Zeta veterinary honors society. She has a special interest in zoological medicine, and received a travel scholarship in veterinary school to work at the Southern Elephant Hospital in Krabi, Thailand. Dr. Howell and her husband, who is a doctor, live near the beaches with two cats Grey and Pancake, and their cattle dog mix Digby. In her free time she enjoys taking her puppy to the beach, playing music and singing with her family, and cooking with her husband. Dr. Nuñez is originally from Fishkill, New York. He completed his Associate’s Degree in Veterinary Technology at State University of New York (SUNY) Delhi. He went on to obtain his Bachelor’s Degree at Mercy College and worked as Licensed Veterinary Technician during his schooling. 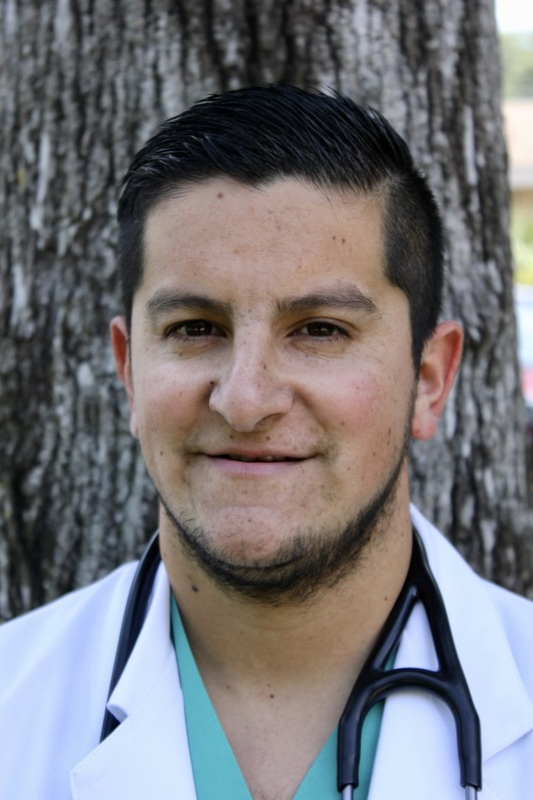 Dr. Nuñez attended Ross University School of Veterinary Medicine and completed his clinical year at the University of Florida College of Veterinary Medicine before receiving his Doctorate of Veterinary Medicine in 2018. Dr. Nuñez is performing a rotating internship at Capital Veterinary Specialists from 2018 to 2019. His special interests are in Anesthesiology and pain management. Dr. Nuñez and his fiancé currently live in Jacksonville with their three rescue dogs Jax, Brandy, Sasha and their rescue cat Donatello. During his free time, Dr. Nuñez enjoys cooking, watching movies and hiking with his dogs. Dr. Thompson is a true native Floridian; born and raised in Leesburg, Florida. 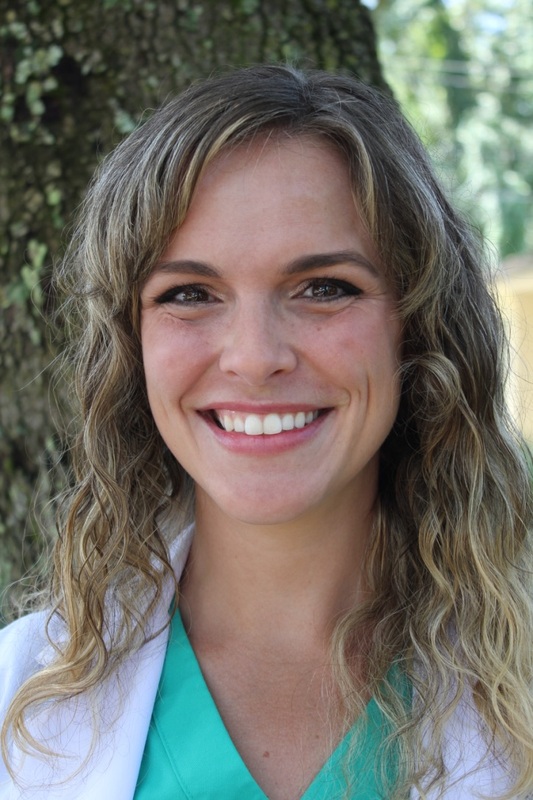 She completed her undergraduate studies at Florida State University, and then attended the University of Florida College of Veterinary Medicine and received her Doctorate of Veterinary Medicine in 2018. During her studies at the University of Florida she was awarded the Maddie's Professional Certificate in Shelter Medicine. Dr. Thompson is performing a rotating internship at Capital Veterinary Specialists from 2018 to 2019. She has a special interest in Emergency Medicine and high-quality Shelter Medicine. Dr. Thompson and her husband live on a farm (affectionately known as the "Thompson Zoo") in Newberry, FL with 5 rescue dogs, 4 cats, 3 chickens, and one aquatic turtle. She spends her spare time backpacking, gardening, and taking care of her "zoo". Dr. Rick Alleman received his DVM degree from Louisiana State University and practiced companion animal medicine and surgery for 9 years in a private, small animal practice in New Orleans. In 1987, he became board certified as a Diplomate of the American Board of Veterinary Practitioners with a specialty in companion animal practice. He was re-certified in 1997 and 2007. 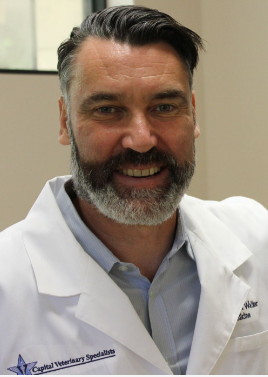 Dr. Alleman completed a residency in Clinical Pathology at the University of Florida and became a Diplomate of the American College of Veterinary Pathologists with a specialty in Clinical Pathology and completed his PhD degree in molecular biology of vector-borne diseases. He is a former Professor, Service Chief, Resident Coordinator and Director of Laboratories at the University of Florida, College of Veterinary Medicine, where he was on faculty for 20 years. He is currently Manager of Lighthouse Veterinary Consultants. He is a consultant and serves on the Advisory Boards for IDEXX Laboratories, Merck Animal Health, and Zoetis.